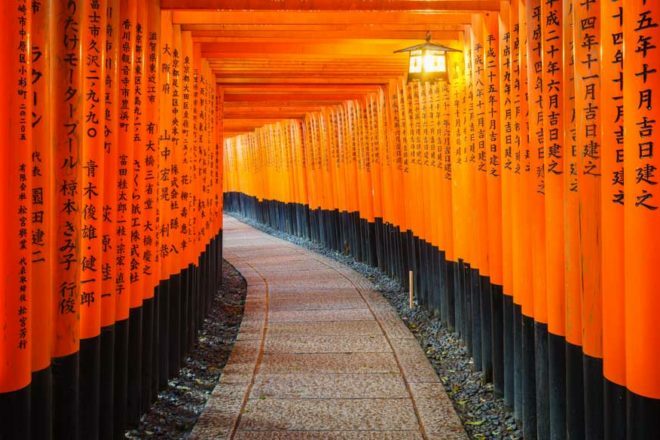 The awesome sight of endless torii gates at the Fushimi Inari shrine in Kyoto, Japan. 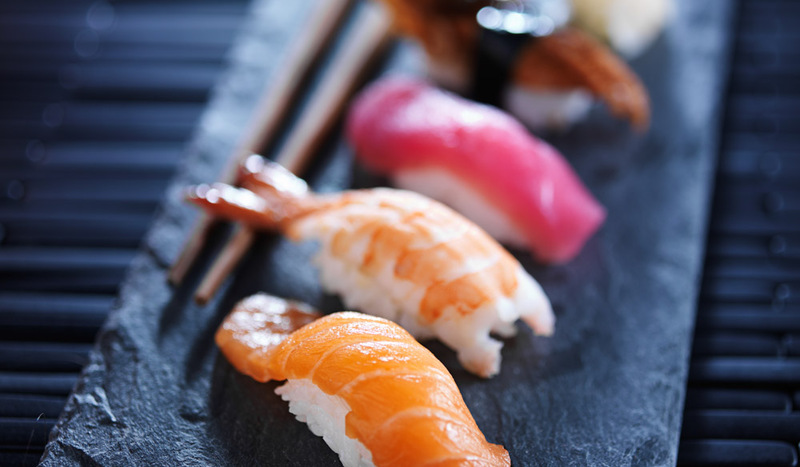 Assorted sushi Nigiri on slate, Japan. 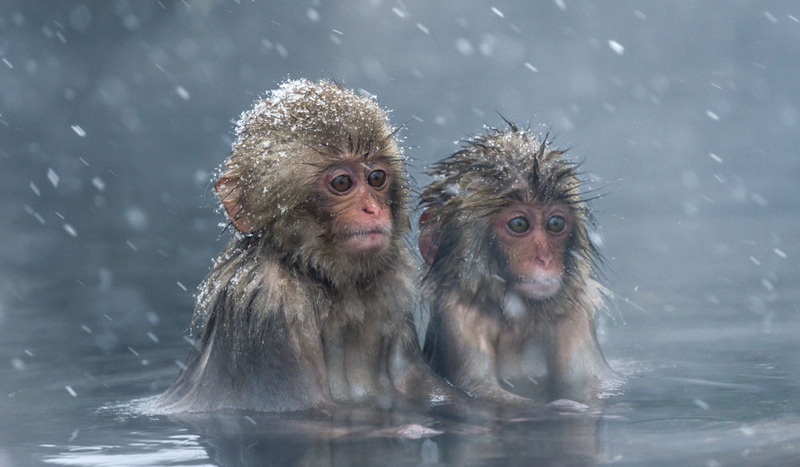 Two snow monkeys soak in a steaming hot spring at Jigokudani monkey park, near Nagano, Japan. Want to experience Japan on a whole new level? Take the road less trodden to delve deeper into its authentic treasures. Another way to approach Japan is to delve into the heart of its most iconic sights – think alpine vistas, zen gardens, red-gated shrines, and soulful snow monkeys. The Kurobe Alpine Route cuts a spectacular 90-kilometre path across the Japan Alps between Toyama and Nagano prefectures. Depending on what time of year you go (it’s closed during winter) you’ll see anything from enormous ‘snow walls’ bordering the road in spring; to flower-speckled alpine fields in summer; brilliant gold and copper foliage in autumn, and the first drifts of powdery white snow in November. For an authentic glimpse of Japanese life hundreds of years ago, head to the World Heritage-listed, beautifully preserved ‘Gassho-style’ houses of the Shirakawago and Gokayama regions. Nestled in an isolated river valley, these distinctive dwellings date back to the 11th century and feature steeply pitched, thatched roofs. In the ancient town of Nikko, north of Tokyo, the Toshogu Shrine is another World Heritage site, revered for its incredibly ornate architecture and bounty of sculptures and structures. Visitors can bed at the nearby Kinugawa Onsen Hotel, which offers relaxing hot springs and traditional Japanese tatami beds. It’s not only humans who enjoy a good soak – at Jigokudani Monkey Park, in the majestic mountains of Nagano prefecture, the wild snow monkeys entrance with their humanlike behavior – grooming, lounging and playing in the steaming hot springs. 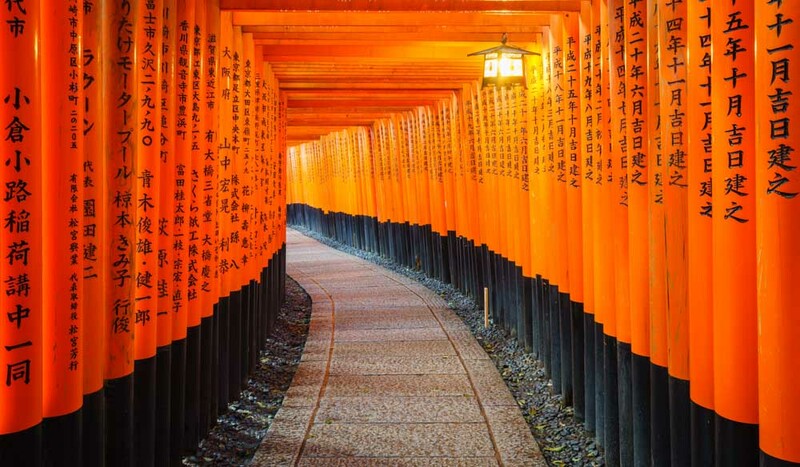 Another incredible sight awaits at Kyoto’s Fushimi Inari Shrine, where thousands of vermillion torii gates trace a striking path up the hillside behind the main buildings. And stop by the Toyota Commemorative Museum of Industry and Technology in Nagoya to see how one of Japan’s most iconic manufacturing companies made its name as an innovator.